Once again it has been a while. We have a few ideas for upcoming posts and they are slowly coming together but yesterday I managed to tear myself away from pc gaming to spend the 400 Microsoft pacmen I have been saving for just this occasion and played through part 2 of the sensational Walking Dead game from telltale games. If you frequent the blog (I know there’s at least one of you out there) you’ll know that I briefly covered part one in an earlier post so you will already be aware that I enjoy this kind of story heavy adventure driven experience. This next installment begins three months after Lee and co escaped the ill fated pharmacy in Macon and set up camp on the edge of town in what they refer to as a “motor inn”, which appears to be some kind of drive thru motel? Supplies are scarce and tempers running thin, it’s interesting to note at this point that the characters appearing here will be the characters that you chose to save in A New Day, (part one) from the very beginning you are reminded of those who didn’t make it this far and it is made immediately obvious that the decisions are not going to get any easier this time out. Remember the moment in the show when Rick has to get that kid’s leg off the fence? You, like me might have been yelling at the screen for him to just rip the damn thing off, well you get to test your mettle in a similar situation here very early on and unless you are a wee bit masochistic it is not a pleasant experience. 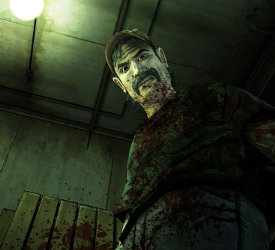 I said it last time out but this part proves further that telltale really want to go down the darker more sinister route of the comics rather than the more hopeful path taken by Andrew Lincoln and his TV co stars, that’s not to say there aren’t some horrific moments in the show but some of the things that happen in the comic just could not be done on television, interestingly it seems you can go down this path in a video game. I say video game in the loosest terms here as I allude to in the title its difficult to tell at times if you’re playing a game, watching a show or partaking in an interactive comic/novel, this plays to the creators advantage as the story that Kirkham has created is a strong character driven, emotional experience. Both the comic and the show have come under fire for spending too much time focusing on the talking and too little on the Zombie smashing, those nay sayers may feel the same way about the beginning of this episode as the action takes a little time to get rolling and once again the focus is on the evils of those humans still alive rather than the bitey dead heads roaming around. I wont delve into the plot at all because that’s not my style if you want to play it you will and I don’t want to be the one ruining that experience for you but there are some great nods to both the show and the comic in terms of locations, characters and set pieces. Typically TV show video game tie ins tend to be a little drab and uninventive, what we have here however is a visceral, original experience that doesn’t get too bogged down in trying to replicate the story or style of the show, yes it helps that it has the comic to fall back on as well but ultimately it has come about due to the success of the show. 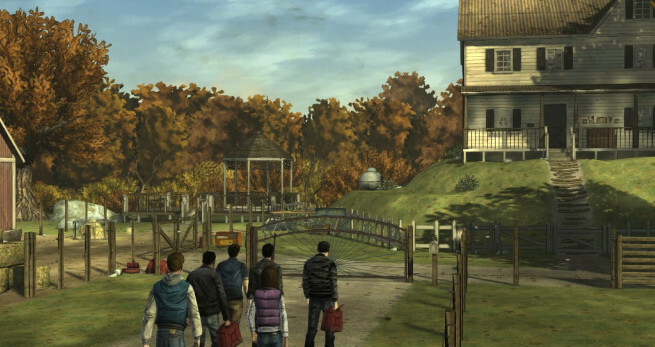 Rather than allowing this to hinder them telltale have run with it and created a tense, paranoia fueled story that runs as a nice parallel to the main arc whilst never feeling like it is repeating the ideas of its counterparts. At times during this thrill ride you really start to wonder what you would be capable of in such extreme circumstances leaving you questioning just what you would do to survive. 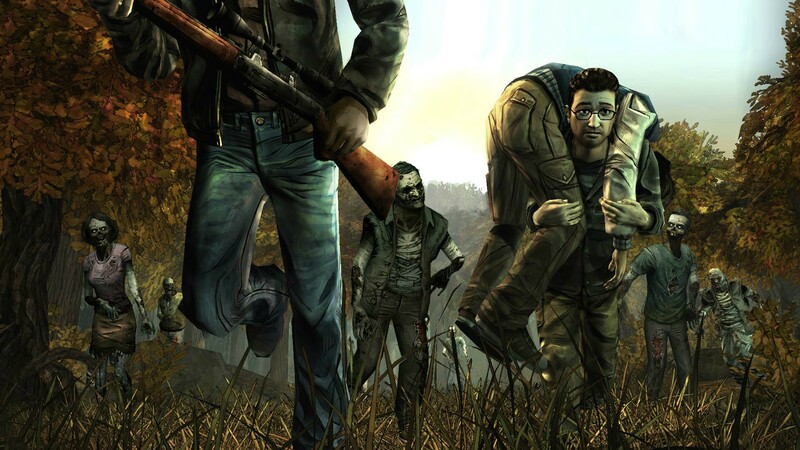 Most of us gamers like to think we would be useful in the event of a Zombie apocalypse due to our “past experience” but until it actually happens who truly knows what they would do and whether their perceived good choices would actually work out for the best. This game really pushes that idea, make the wrong choice and things can really go to hell, hesitate over choosing and things can really go to hell, try to play the hero and things can really go to hell. In short it’s hell out there so make sure you pick the right companions or you might be dancing with the devil in the pale moonlight. If you’ve played the game let me know what you think, even if you haven’t all comments are appreciated. If you love the show play the game even if you hate Carl like everyone else. This entry was posted in Gaming, Tech and Gaming Procrastination and tagged 360, andrew lincon, arcade, dead, games, games on demand, live, macon, motor inn, survival, the walking dead, walkers, xbox, zombies by eremenko. Bookmark the permalink.